Mark presents Jesus as the Servant of the Lord, coming in fulfilment of Old Testament prophecies. Jesus offers His miracles and his teaching as his credentials. He gathers His disciples, while proclaiming the Kingdom of God and its message. Jesus teaches in short parables, which hide the truth from those hardened against Him, while at the same time preparing and instructing those responsive to Him. Jesus calls those who follow him to serve him by serving others and to deny themselves by taking up their own cross, just as He took up His. There is little about the resurrection in this Gospel, possibly because the end of the scroll has been lost. Now that may be to some a long passage, but it helps set up the story of Rachel. Sounds like a modern day soap opera like Holby City, Eastenders or Coronation Street doesn't it? Rachel had a fairly complicated family structure as we have seen, so lets try to unravel it! Rachel's sister Rebekah was Jacob's mother. Rebekah trained Jacob to scheme in order to gain his father's blessing and promised him that she would take the results of the deceitful act upon herself. Rachel became Jacob's wife, but only after Laban had tricked him into marrying Leah, the older daughter first. We can wonder if Rachel encouraged Jacob in his trickery, or if she was influenced by him to think first of herself at the expense of others. Whether his mother and/or his wife influenced Jacob, or indeed if he influenced them, both Rebekah and Rachel serve as examples of the outcome of sinful deceit and discontent. Her sorrow is depicted by Jeremiah (Jeremiah. 31), to signify the sorrow of Israel's people at the exile of Israel to Assyria and Babylon. Firstly, if you are a Christian here tonight, how and in what way are you like Rachel? As you go through your day, ask the Holy Spirit to reveal to you ways in which you may well be deceitful, vengeful, dwelling on the past bitterly or engaged in constant self-pity. Are you like Rachel, headed downhill on a course of dissatisfaction that may end in dishonesty and deceit, or in disappointment and despair? Accept God's love. Believe that in every trial He desires us to draw closer to Him, so that we can be energized by Him and realize that He alone and only He is enough. Ask for forgiveness for dwelling on the past and any inappropriate behaviour where those things were involved. God is faithful and just and will forgive if you go to Him with a penitent heart. Then no long dwell on those things, for they are in the past, are forgotten and not to be remembered any more. So forgetting what is past, go into the future with a new outlook of service to God and others. That way your life will be a living prayer and a living witness to others about the great God you serve, love and worship. Secondly, you may be a Christian but you are the victim of somebody else's deceit and dishonesty - then forgive them before God and as far as it is possible, ask that person for forgiveness. Bitterness, envy and pride can eat away and cause much misery, sin and depression. Finally, if it happens that you are not a Christian here tonight, then please do see one of the leaders or myself and we would be glad to tell you how you can be free from a life of dissatisfaction, deceit and dishonesty - both as the victim and perpetrator of such things. Know that Jesus Christ is above deceit, never dissatisfies and is never dishonest - His word is true and He seeks you, to be in a relationship with you, where His love is always serving, always humble and always satisfies. As I said, come and see one of us after if that is you.. 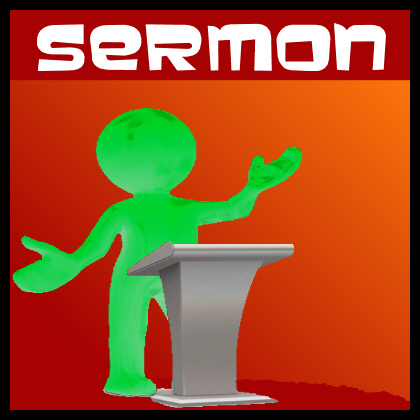 Right mouse click and save to download the file of this sermon. Firstly, here is Laban - her dad! Laban was a crafty sort of character. Over the course of 20 years he switched Jacob's wives, wages and livestock for his own advantage. He was devious and deceitful. It was probably his philosophy that Rachel imitated in her long search for fulfilment, for she too, was always looking to protect or enhance her own position be means of cheating and deceit. Although she resembled her father in this way, Rachel had little respect for him. The only subject about whom she seemed to agree with Leah about was that their father had cheated them. Jacob told his wives that he had noticed that Laban's attitude toward him had changed (Genesis 31:2), and that God had directed him to return to the land of his fathers (Genesis 31:14-16). But Rachel went one further step than her sister. She stole her father's household gods, the inheritance, and Jacob did not know either. When Laban found out, and caught up with Jacob, Jacob angrily insisted that Laban search among his goods, and he promised to put to death anyone found to have taken them (Genesis 31:33-35). Secondly, lets look at Rachel's sister Leah. To a certain point, Rachel's relationship with her sister affected her marriage with Jacob since Leah also happened to be married to Jacob (Genesis 30:11). There began a fierce competition between the Leah and Rachel over their rights to Jacob's sexual attention. Rachel insisted that Jacob sleep with her maid Bilhah so that she could build a family through her servant. 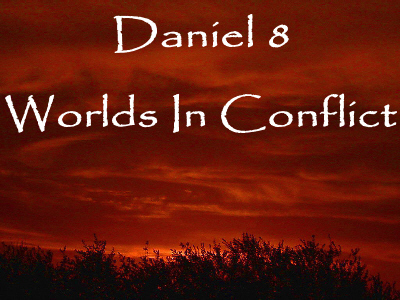 Two sons were born, Dan & Naphtali (Genesis 30:1-8). When Leah stopped bearing children of her own, she gave her maid Zilpah to Jacob. Two more sons were added. Rachel was far from satisfied her jealousy was not eased. (Genesis 30:14-16) During wheat harvest, Reuben went out into the fields and found some mandrake plants, which he brought to his mother Leah. Rachel said to Leah, "Please give me some of your son's mandrakes." But she said to her, "Wasn't it enough that you took away my husband? Will you take my son's mandrakes too?" "Very well," Rachel said, "he can sleep with you tonight in return for your son's mandrakes." We may be surprised to see in this passage Jacob's abdication of his own authority over the household in the face of these fighting sisters!!! We see Leah's readiness to drive a hard but petty bargain when she had the opportunity. But we also see the extent to which Rachel jealously guarded her territorial claim to Jacob against her sister. Rachel was not the older sister, nor the first wife, but she was clearly the more dominant woman. Though she granted her a night with Jacob in exchange for mandrakes, Rachel would have had to answer no the Leah's question, "Wasn't it enough that you took away my husband?" No, she would have to respond! Discontent continued to smoulder within her, as not one thing was ever enough for Rachel. Thirdly here is her husband, Jacob! When Jacob fled from the wrath of his brother Esau, he obeyed his mother's advice and went to Haran in search of his uncle Laban. First he found Rachel, a shepherdess, and daughter of Laban. Jacob identified himself as her cousin, kissed her, and wept aloud. Rachel was a very beautiful woman, and Jacob was soon falling head over heels in love with her. He offered to work for Laban to earn Rachel as his bride. (Genesis 29:20). On the wedding night, however, the crafty Laban put his daughter Leah into the marriage bed. Jacob was angry, but there was nothing to be done but to fulfil Leah's bridal week and then marry Rachel. (Genesis 29:30). Later, in the wake of the sisters' competition over children, two maidservants were elevated to wife status as well, but Rachel was always the most loved. We see this in the care with which Jacob protected her by placing her with Joseph at the end of the caravan when he met Esau again after 20 years (Genesis 33:1-3). Years later, Jacob's preference for Rachel's children Joseph and Benjamin was painfully obvious to his other ten sons (Genesis 37:3, 45:18-19). Unfortunately, the only person who failed to recognize this supreme love and to rest in it, was Rachel herself. God's gifts of love, beauty, or intelligence, can only reach their full potential for His glory when they are acknowledged and received by the individual who has received them. The extent to which these gifts are developed depends largely on the person's attitude and response to them. In the same way, a woman may be loved by a man, but she will only radiate that love the degree that she chooses to receive and rest in it. Rachel was more beautiful and beloved than her sister Leah, yet Leah learned to find peace through focusing on God's care in the midst of her difficult circumstances. Neither God's blessing of physical beauty nor the love of Jacob was enough for Rachel. Now finally: her children. For 13 years Rachel was childless. The social problems for women with no children were terrible. Rachel must have suffered a lot whenever Leah, Bilhah and Zilpah became pregnant, while she remained childless. She took out her frustration on her poor husband Jacob, even though it was not his fault and he would not have it put upon him (Genesis 30:2). God's participation in the miracle of life is evident in these chapters, especially Genesis 29:31; 30:17 when God remembered Leah, and also when Rachel finally becomes pregnant Genesis 30:22-24. Rachel had waited a long time for God to bless her in this way. Perhaps He was waiting to see whether her attitude might improve. It did not. Rachel stubbornly refused to be satisfied with her circumstances. She persisted in looking at the negative side of her situation. When Rachel's maid Bilhah bore Jacob a son in her name, she named him Dan (Genesis 30:6) which means "God has vindicated.". While recognizing God had heard her prayers, she regarded the child as her right to make up for her past suffering, rather than a free gift to her out of His love. When Bilhah's second son was born she named him Naphtali, which means "my struggle". Again she considered the child a sign of victory over her sister in reward for her unhappiness. Even the birth of Rachel's own son Joseph did not satisfy her (Genesis 30:23-24). One son was not enough. Nothing was enough. Many years passed. Jacob built up his herds and left Laban (Genesis 31). He was reconciled with his brother Esau (Genesis 32 & 33). He settled in Shechem, where his elder sons killed all the men and plundered the city in revenge for the violation of their sister (Genesis 34). God told Jacob to move his family to Bethel, where he renewed his covenant. (Genesis 35:16-18). Here Rachel aptly expressed her perception of her whole life and revealed her capacity for self-pity when as she died giving birth, named her baby Ben-Oni "son of her trouble." Her devoted husband over-ruled her choice and gave him the name that means "son of my right hand", Benjamin, suggesting that perhaps not only that he would treasure this son in a special way, but also that Rachel had been like a right hand to him. Rachel was probably a very positive supportive wife for Jacob, but this cannot be proved from what the Bible says. When Rachel died, Jacob honoured her tomb with a pillar, and to this day the site apparently remains an important landmark for Jews in Bethlehem. In her lifetime, however, it seems that all Rachel constructed - was a monument to her own misery. There we have the pen portraits of Rachel's father Laban, Rachel's sister Leah, Rachel's husband and Rachel's children - with an gleaning idea of her relationship with all of them. Here it is perhaps helpful to discuss 2 points about culture at that time. First, the household gods represented tokens of inheritance more than just symbols of idolatry. Whoever had them, could lay claim to a man's property after his death. Second, as God later spelled out for the Israelites, it was considered an act of uncleanness to touch a woman during her period of menstruation or anything on which she sat (Leviticus 14:19-23). God intended it as a health precaution, but Rachel used it to hide her theft. As she expected, Laban did not bother searching any further. Because she had an older sister and several brothers, Rachel must have realized that she had no real claim to her father's property, regardless of who had the idols. Her act was spontaneous, motivated by a desire to retaliate against her family rather than for self gain. The combination of stealing and lying was simply another expression of the dissatisfaction. The household gods were buried after Jacob commanded them to be (Genesis 35). What alternative did Rachel have? How can people resolve their feelings of resentment in productive, permanent ways? Leah's life demonstrates a determination to face facts, confess her feelings and focus on the Lord as a reliable source of fulfilment in every circumstance. Jacob also learned to accept his difficult situation by finding evidence of God's blessing even in the midst of hardship (Genesis 31:5, 7, 9). But Rachel consistently refused to be comforted by the blessings God had faithfully provided. She chose instead to brood over her father's treachery, her sister's fertility, her husband's conflicting duties and her own failure to have children. Rather than making the best of her current circumstances, she was haunted be the past and her unfulfilled dream of what could have been; and consistently entered into self-pity parties. She insisted on trying to twist the future into what she wanted. To be lovely and much loved is what so many people want to be and have. Yet it wasn't enough for Rachel: she wanted more. So why is Rachel in the Bible? Firstly she is mentioned in Jeremiah 31, where she signifies the sorrow of Israel's people at the exile to Assyria and Babylon. Then there is Matthew 2, where she symbolizes the sorrow of the women of Israel weeping at the loss of the babies during Herod's killing of children in the early years of Jesus. But thirdly and perhaps the most important reason is found in Ruth 4v11, where she is honoured with Leah by later generations as those "who together built up the house of Israel". This would seem to suggest that despite her obvious and many faults, Rachel with Leah, were well respected by the Jews as the "mothers" of Israel. There were 12 tribes of Israel, all sons or grandsons of Jacob, and heard his prophecies concerning them & their future (Genesis 49). The names of the twelve tribes were Reuben, Simeon, Judah, Issachar, Zebulun, Gad, Asher, Dan, Naphtali, Benjamin and the sons of Joseph, Ephraim and Manasseh. Levi, the third son was not included amongst the tribes given land. Moses instead set the Levites apart to be priests (Numbers 3:1-4, 49). Firstly, if you are a Christian here tonight, how and in what way are you like Rachel? As you go through your day, ask the Holy Spirit to reveal to you ways in which you may well be deceitful, vengeful, dwelling on the past bitterly or engaged in constant self-pity. Are you like Rachel, headed downhill on a course of dissatisfaction that may end in dishonesty and deceit, or in disappointment and despair? Accept God's love. Believe that in every trial He desires us to draw closer to Him, so that we can be energized by Him and realize that He alone and only He is enough. Ask for forgiveness for dwelling on the past and any inappropriate behaviour where those things were involved. God is faithful and just and will forgive if you go to Him with a penitent heart. Then no long dwell on those things, for they are in the past, are forgotten and not to be remembered any more. So forgetting what is past, go into the future with a new outlook of service to God and others. That way your life will be a living prayer and a living witness to others about the great God you serve, love and worship. There are perhaps two reasons why we study about people in the Bible - to learn how not to do some things like being deceitful, and how to do the right things like this mornings example Ruth. 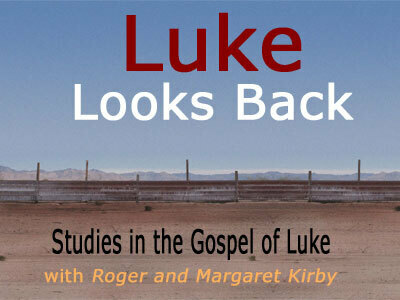 So this morning we are going to look together at the book of Ruth and discover who Ruth was, what is her story and how we can learn from her as we seek to live a godly and righteous life in Britain in 2009. Tonight we will be looking at the character of Rachel and how she fits into salvation history and how we can learn lessons from her. But on with this morning and Ruth! Let us ask God to work in us, changing our weak attempts at obedience into acts of divine worship. We find delight in serving the Lord, instead of indulging in resentment over sinful leaders. The result will be inner freedom and release from bitterness, and also a powerful story to those in authority and to onlookers as well. Just as too Ruth's obedience of Naomi, moved Boaz and all Bethlehem, the Holy Spirit will enable us move others (Colossians 3:23-24). While we obey others we can joyfully remember that it is God alone who is worthy of complete obedience. When our confidence in Him is reflected in our submission to others we become living stories to our trust in God's perfect plan. If we follow the example of Ruth, perhaps someone will notice our stories and find the witness, the wholeness, and the worship in our lives of obedience and praise God because of us. And, remember this from 1 Samuel 15v22 "Does the LORD delight in burnt offerings and sacrifices as much as in obeying the LORD? To obey is better than sacrifice, and to heed is better than the fat of rams." The Christian Disciple is blessed! Paul to the church in Rome, and in Chapter 4 he talks about Abraham's journey into faith and of his faith. Now in Romans 4v22-25, Paul writes: "This is why "it was credited to him as righteousness." The words "it was credited to him" were written not for him alone, but also for us, to whom God will credit righteousness-for us who believe in him who raised Jesus our Lord from the dead. He was delivered over to death for our sins and was raised to life for our justification." Today I want to take us briefly through Romans 5vv1-11 and show that as Christian Disciples, we are blessed in seven ways because of Jesus Christ and the work He did on the cross. Romans5:2a "through whom we have gained access by faith into this grace in which we now stand." When Jesus died, He tore the veil (Luke 23:45) and broke down the wall (Ephesians 2:14). As Christians, we have immediate access to God, through our faith in Jesus Christ. No other religion or faith can say that! Romans5:2b "And we rejoice in the hope of the glory of God." Peace with God takes care of the past - He no longer holds our sins against us. Access to God takes care of the present - we can come to Him whenever we desire. A glorious hope takes care of our future - all Christians will one day share in His glory. 4. We develop Christian character. Romans5: 3-4 "Not only so, but we also rejoice in our sufferings, because we know that suffering produces perseverance; perseverance, character; and character, hope." Being justified is no escape from the sufferings and trials in this world, but for the believer, suffering and trials are for our own good (Romans 8:28). We bring them on ourselves by our own foolishness and sin. We endure for the sake of the Gospel. Suffering develops our patience and perseverance; patience and perseverance grows our character, and through character we have a glorious hope. 5. We have God's love within us. Romans5:5-8 "And hope does not disappoint us, because God has poured out his love into our hearts by the Holy Spirit, whom he has given us." The love of God is poured into our hearts. We experience love, peace and joy. This inner experience of this love is through the Holy Spirit who sustains us as we go through sufferings. Faith, hope and love all combine to give those who love God, the patience to endure the trials of life. 6. We have salvation from future wrath. Romans5:9-10 "Since we have now been justified by his blood, how much more shall we be saved from God's wrath through him! For if, when we were God's enemies, we were reconciled to him through the death of his Son, how much more, having been reconciled, shall we be saved through his life!" He will keep on saving us, now that we love Him. We need strength to endure suffering and persecution, remembering that he who stands firm in faith, will in the end be saved. 7. We have reconciliation with God. Romans5:11. "Not only is this so, but we also rejoice in God through our Lord Jesus Christ, through whom we have now received reconciliation." We have fellowship with God, because we are reconciled with Him because of Jesus' death on the cross. God in His mercy, sent Jesus as a peacemaker, that men may return to fellowship with Him. We are to rejoice in our present enjoyment of reconciliation with God (Romans 5:1b,10), and rejoice that all this comes through Jesus, our Lord and Saviour. The only way to be with God is through Jesus - that is the Gospel message of good news. Fellowship with God is only because of the cross of Jesus. There is no other way to having life in God but through the cross of Jesus Christ! Jesus' death on the cross signifies that God was willing to suffer so that we may have life in him, if we choose it. That is why it is so important we believe that Jesus was both fully human and fully God! I could never in a million lifetimes be a Buddhist worshipping in a temple with an impassive statue of the Buddha, which is aloof from all suffering. The God we serve as Christian Disciples knows suffering intimately. The cross is where God suffered and died. As Christian Disciples we are blessed through the cross of Jesus Christ. Through Jesus, we have these seven blessings: peace; access; hope; transformation; indwelling love; salvation and reconciliation! What are we to do with these blessings? We are to tell others and a good way to do that is to live a life worthy of these blessings so that people, who are not Christian, can ask the reason you have such hope! If you give them no reason to ask, they probably won't! These 7 blessings show how certain salvation is in and through Jesus Christ, for those who choose it. As Christian Disciples we are blessed, and we are blessed to be a blessing to others! For more to think about, please do read for yourself Romans 6:1-14 and ask yourself the following two questions. Why not share your answers with your spouse or a close friend or two, so that you can discuss and pray over any issues together. 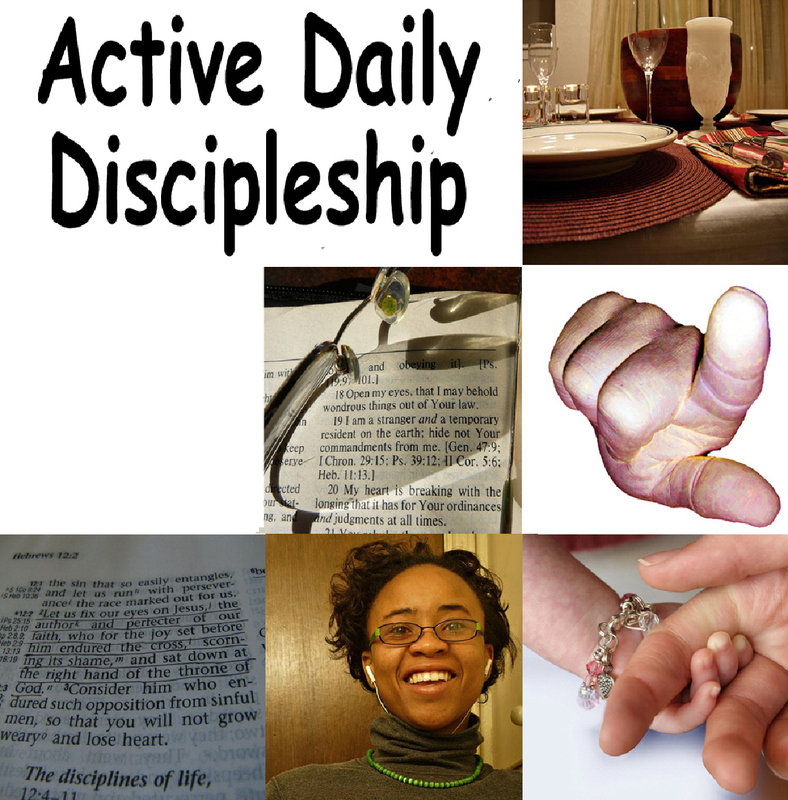 Q1 - What areas of my life have been transformed since I became a Christian Disciple? Q2 - What has happened in my life that will get people to ask me for the reason I have hope? Q3 - Who can I pray for, so that opportunity will arise? G’day and welcome to Partake! 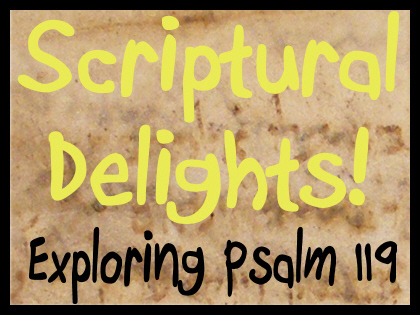 Welcome back to Scriptural Delights, our series going through the wonder that is Psalm 119! Here is our fifth podcast. Today we look at the third of its twenty-two letters – Gimel, verses 17 to 24.
who are cursed and who stray from your commands. The Psalmist plea in verse 17 is not an uncommon one in the Old Testament. The Psalmist is turning his eyes away from his own situation, and onto God and what God wants for him – total obedience! Now it could be that the Psalmist’s life was in danger of physical death from one of his enemies. It is equally true that the Psalmist is also speaking of his spiritual life, which is only in fellowship with God. Salvation, is not through keep the rules of the Law but rather the Law was there to show the futility of man’s efforts to save himself. Salvation could only come from God alone, which it would do through the Messiah who was to come. It was due to God’s mercy that the Psalmist had fellowship with him, which the Psalmist wants to offer himself in total obedience to God. Verse 18 shows this, because when the Psalmist sees the beauty of the Law, he sees God doing wondrous things! Its as if scales or cataracts fall from his eyes so that he can see clearly. Once he was blind, but now he can see! It’s a WOW factor! The Psalmist earnestly seeks to serve God, because it is due to God alone that he has spiritual life, indeed any life at all! The Psalmist continues to build up metaphors about his relationship with God through His commands, laws, statutes and decrees! Truly the Psalmist sees obedience to God as paramount as a worthy response to God’s grace and mercy towards him. For if obedience is worship, the Psalmist is keen to make his life a life of total worship to God! The Psalmist recognizes that life on earth is only temporary, that’s why he calls himself a stranger on earth (v19)! There is a better place for him and only God can provide the way there, through His grace and mercy. It’s a relief from the worries and strains the Psalmist is enduring. Despite all that’s going on around him, such as in v23 where other rulers plot against him, he puts his hope in God alone. In keeping God’s laws and obeying Him, the Psalmist is careful against become proud that he is in fellowship with God. It is in humility that the Psalmist maintains his fellowship with God. This is seen in asking forgiveness for times of disobedience, where he was full of scorn and contempt. With the possibility of other things to distract him, the Psalmist occupies himself with the reading of the Law and being in communion with God alone. By seeking the counsel of God through Scripture, the Psalmist’s worries disappear because his eyes turn towards God instead of on the problems. God is the solution to problems, following God, obeying God and walking with God are the Psalmist priorities. The promises of God are a sweet healing ointment to a troubled soul and a fragrantly pleasing aroma to the senses. The Psalmist knows that reading Scripture and obeying God through it, provides a stable relationship between himself and God. When Jesus says in Matthew 6v25-34, “Do not worry…” he stipulates that we are to seek God’s righteousness and be dependent upon God to supply all needs. Let tomorrow worry about itself, Jesus said, and seek God at all opportunity. Remember who you are, he says! You are of infinite worth to God, much more than plants and animals! Allow God to permeate every aspect of your life and let God be seen in every aspect of your life! Part of seeking God’s righteousness, is in reading the Bible and seeing how He guides and speaks into our individual situations. For the Psalmist, God’s words were his counsel. What worries and concerns are you going through today? Ask God to help you and ask others to ask God on your behalf. By asking, you show humility and dependence upon God. As humans, we are born dependent on God and others and as we grow through life, we are also dependent upon God for all things and dependent upon other people as well. By showing our need to be helped by other people and dependence upon them, we show our need and dependence upon God. Jesus Christ was the greatest example of that. As a baby he was dependent on milk from his mother and to have his bottom wiped, yet maintained his divine dignity. In dying, he was dependent on others to offer him a drink as he hung on a cross (Matthew 27v48). In his death he was dependent upon God the Father to raise him to life again, just as He had promised to do. Three days later, Jesus rose from the tomb of death to new life. God is totally reliable and will help you when you ask. Maybe not in the way you expect, but due to His mercy and grace, He who is the wisest of all, will help you in the best way possible. God has promised and He always keeps his promises. Welcome back to our series based on Psalm 119. This is the second in our series. Throughout Psalm 119, the writer has 8 different words for Scripture or "Law of the Lord". When the Psalmist says "God's Law", "Law of the Lord" or Torah, he does not mean, as some think, just the Mosaic law, but rather all of the revealed will and mind of God in the Old Testament scriptures. We, of course, don't know how much of the Old Testament was written when the Psalmist was writing Psalm 119, but we do know that he would have had at his disposal at least the first 5 books, the Pentateuch. That's Genesis, Exodus, Leviticus and Deuteronomy to you and I. Additionally, it is also quite probably some of the historical books and maybe even the book of Job. So with that brief introduction lets investigate these 8 words. Of course our modern translations don't always use these words, but rather, these are root meanings of the original Hebrew words. 1. Commandments: This word, commandment, signifies a direct order from authority. It is not simply power to influence but rather the right to give orders and an attitude of assuredness. 2. Law: The first word to share is "law" and it is the most common of all the words used here in Psalm 119. It has as its foundation the word "teach" or "direction" and can be synonymous with one commandment or a whole book of laws to be followed. It shows that God's revealed will is not simply for observation only but is primarily for obedience! 3. Ordinance: Within the Old Testament, this would be judgements or decisions as laid down by a supremly wise Judge. But its more than judgements, because it also signifies the justice of being dutiful and responsible. 4. Precepts: this word is drawn from a person who is a manager or inspector, looking into a situation and getting ready to act. This word reflects the finer detail or specific instructions as laid down by the Lord. 5. Promise: Very similar in nature to "Word", its root or foundation is from "to say" or "promise to do or say". God's promises are true - He keeps His promises! For a quick example: throughout the Old Testament, God's people, Israel, had the promise of the Messiah - not only for themselves but for the whole world! In the New Testament, we see this promise fulfilled - with Jesus Christ being the long-waited for Messiah. 6. Statutes: When the Psalmist speaks of statutes, he writes about the permanence of Scripture, as an enduring reminder of the Lord and His goodness. 7. Testimonies: This means that what God says is a reliable witness, a witness that is faithful, dependable and true. Rules & high standards for practical and obedient godly life with warnings against disobedience abound within this expression. 8. Word: This the most popular expression used by the Psalmist, simply means God's revealed truth in any shape, form, commandment or statement. Of course for those of in the 21st century, Scripture or "Law of the Lord" is not confined to the first five books of the Old Testament or even the whole Old Testament. No! Scripture for us also includes the New Testament. We have the benefit of being able to read and study the Old Testament with the understanding and eyes of the New Testament. So many Christians only look at, study and preach the New Testament. But Scripture is all 66 books, all revealing God's timeless truths. Hopefully by the end of these series of studies, you will have found a new delight in reading your Bible: all 66 books of it including perhaps some that you have never read before! And now for you to ponder: Ask yourself how you view the Bible, how you read it, why you read it and do you listen to God speaking to you as you do so?